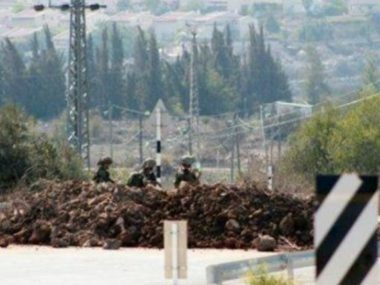 Israeli soldiers closed with sand hills, Monday, a road linking between several villages east of the Yatta town, south of southern West Bank city of Hebron. Rateb Jabour, the coordinator of the National and Popular Committee against the illegal Israeli Annexation Wall and Colonies in southern West Bank, told the WAFA Palestinian News Agency that the soldiers placed the sand hills on the road which links the villages of Khirbat Shu’ab al-Batim and Ma’in with Masafer Yatta village. Jabour added that the Committee has repeatedly reopened and rehabilitated the road, after it was bulldozed and closed by the army several times. He said that Israel has been carrying out repeated violations against the Palestinians in that area, and around it, so that it can expand its illegal colonies, built on occupied lands in direct violations of International Law and the Four Geneva Convention.